It is carried out by the mendicancy throughout the year at present. This is the death-day of Toshiro KASHIMA, the first president. Through worship, devotees look back upon his virtue and pray for to fulfill his mission. The ritual for the first horse day after the eve of the springtide. Fumyokai solemnized the peculiar great gracious kami of Inari, named TSUKASA SHOKEN. The ritual is celebrated at each branch and sub-branch. The religious service is held not only for the repose of hungry ghosts but also for ancestors and neglected forlorn souls to get rid of their burdens. This is the death-day of the founder, Sadao BEKKI. Devotees look back upon his virtue through worship, and pray they can fulfill his mission. Underground waterfalls is pumped up into the pool at Banreiden, and devotees bathe in the pool after labor service for “Discipline under waterfalls”. Every devotee, young or old, can take part in this rite. This ritual is performed for the repose of souls and all things in the universe. 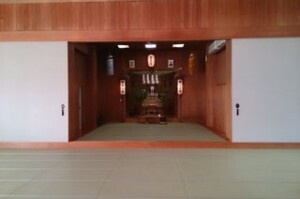 The name, “ Fumyokai “ was given through a revelation occurring on this day. As followers of BEKKI’s teachings, devotees pray to fulfill the mission in full response to the revelation. 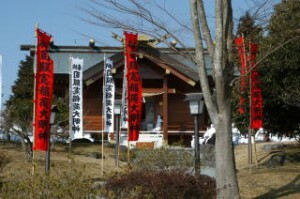 The Fumyokai purification ritual is different from what is generally done. In order to save mankind , kami burden themselves with the human sins. To purify those burdens, Fumyokai holds the Great Purification Ceremony at the end of the year.